If you live in the Tampa Bay area, finding someone to service your pool is relatively easy. However, finding reliable service year-round is surprisingly difficult. In addition to honesty and hard work, we have the experience and expertise to service your entire pool system - properly! 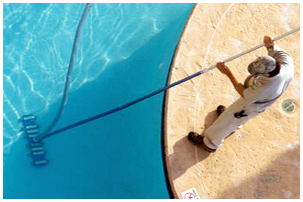 We provide full pool cleaning & chemical services. Furthermore, we are certified to repair all types of pool equipment... anything associated with your pool, we can handle (screening, resurfacing, decking, you name it)... we are truly a one stop shop for all your pool needs. Put a Viking in your pool and experience the difference!